Some of us might feel like we have had enough of the bird craze. As long as there are no owls; I’m still game. 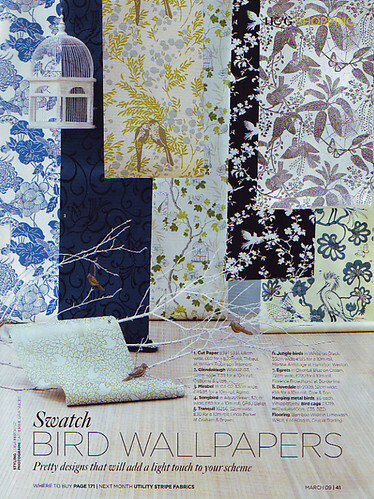 In the March issue of British Homes & Gardens a beautiful layout of bird wallpapers struck me. 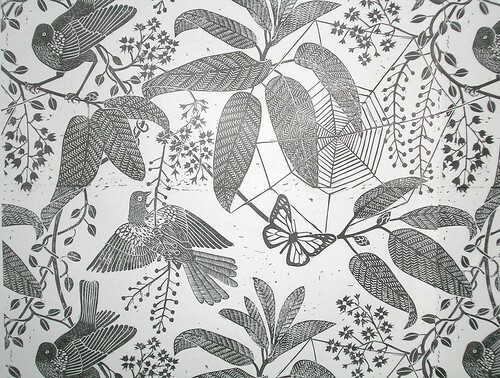 My favorite is “Jungle Birds” above designed and hand printed by artist Marthe Armitage for Hamilton Weston. The line work is absolutely stunning. LOVE this wall paper! Reminds me of the wonderful Australian wallpaper designer Florence Broadhurst. Emma Hack does gorgeous body painting against this wall paper. Have you seen it? There is a link on my blog. Just divine!